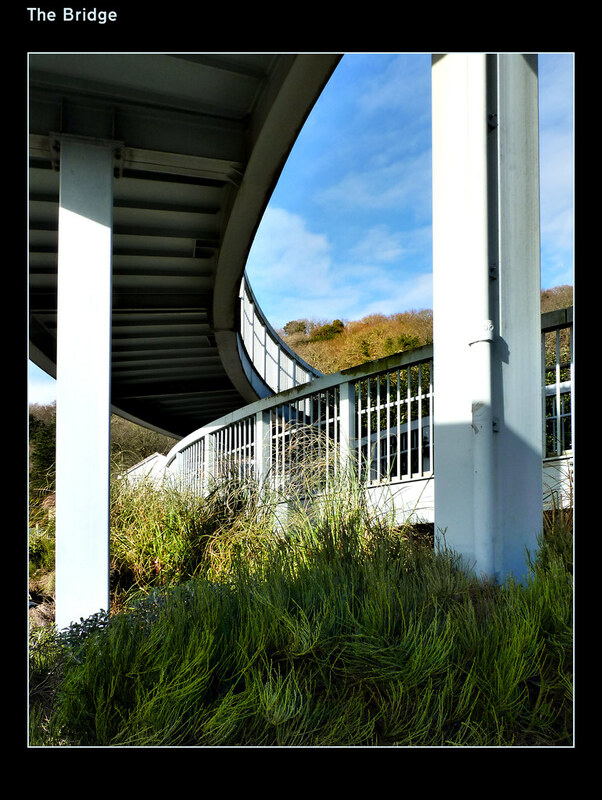 A couple of years ago I had a sister blog site on Plymothian Bridges. It was a bit too optimistic to attempt a blog on such a specialist subject so it soon disappeared but I do still take photos of Plymouth bridges, and now I can start again in earnest. My first for 2010 is the wonderful pedestrian bridge that links Sainsbury's with the housing on the other side at Marsh Mills. Somehow the fact that it is so dirty just adds to its appeal for me. I spend quite a lot of time on the bridge as its a useful spot for taking photographs of traffic coming into the City. The photo below being just one of a set of photos taken at the same time. I was trying to do something different this time to show off the lines and the curves of the bridge so I have upped the contrast quite a bit to make the most of the harsh light. Its not quite 'art' but I like it! The full set can be found here on my Flickr account.